These are the perfect earring to go with any of the Celestial range. 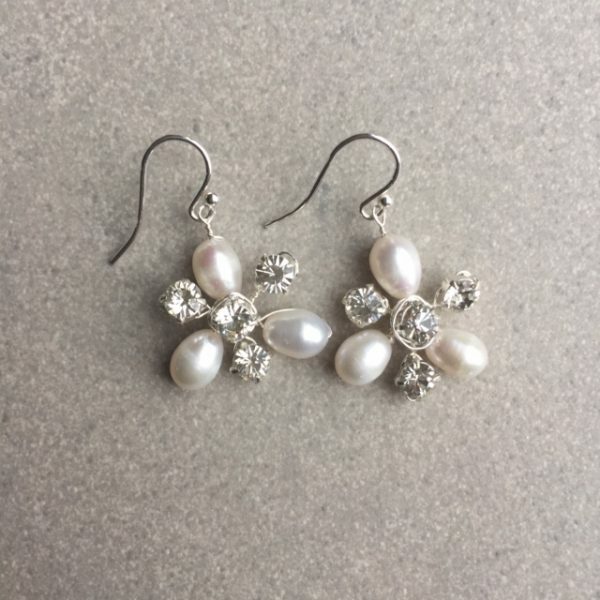 The small drop is made from grade AA freshwater pearl and diamante for a subtle sparkle. They move, therefore to giving interest. They are finished with sterling silver earring finding. These are ready to ship within 7 working days, but if you need them quicker just get in touch and we will wave our magic wands and get them to you sooner.